🙂 One day, I always say to myself, I’ll go to see the falls ~ these are some of the best pic’s I’ve seen. Ah, you should come out here and go see the falls. It’s a unique experience. Glad you like these photos, Julie! Great vista, great capture! Have a nice weekend, Hien! Wow! Amazing waterfall! I would love to see for myself it one day! I hope you will see these falls too! People come there from all over the world, especially honeymooners. With all the recent rain, they look in full spate. They are magnificent! You are right, Eliza, there was a lot of water. However, I have not yet seen the falls in a drought year. 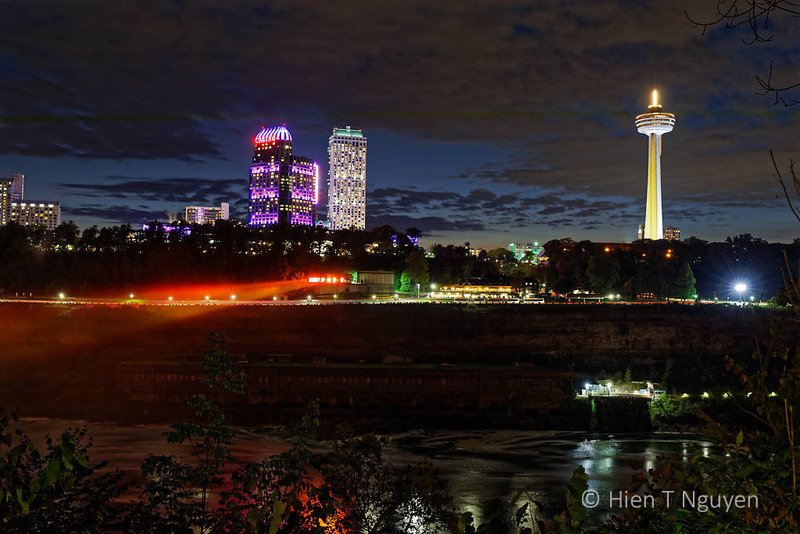 Oh, what stunning views of Niagara Falls. As others have commented, you have shown them in a different light! I dream to visit (and explore more of Upstate NY) someday, but thanks for bringing us along on this journey through your photos! Thank you Takami! 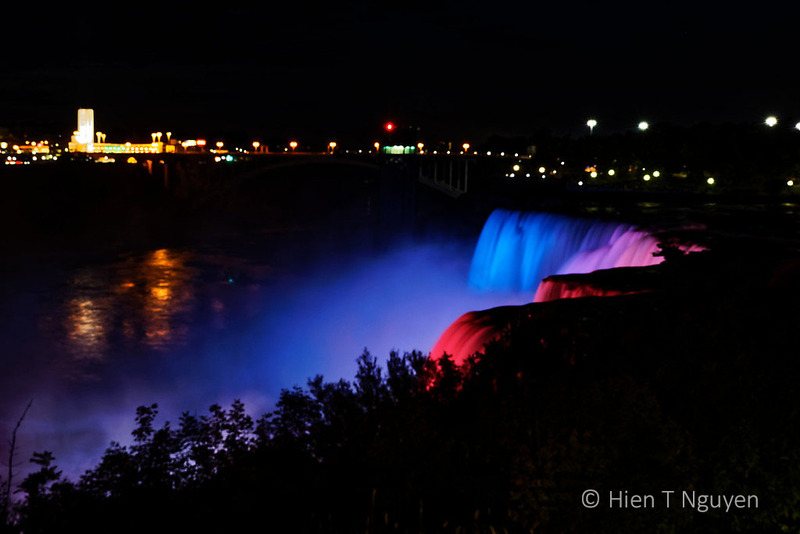 I hope you will have a chance to visit Niagara Falls, and the rest of Upstate New York, in the not too distant future. What beautiful photos. I love the foliage that is in your view of the falls. 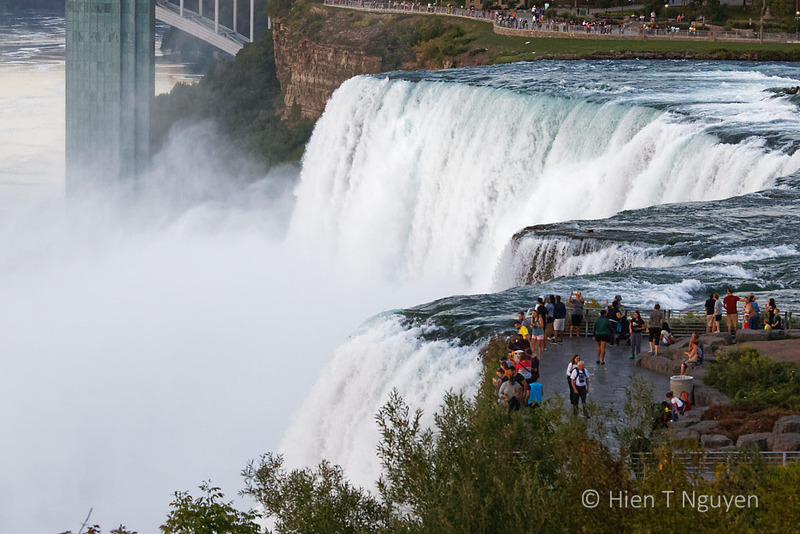 I’ve never seen that in Niagara Falls photos. Looks like you’ve been having a wonderful road trip. Are you going through the Adirondacks or Catskills at all, or along the Hudson River? Thank you Katelon. 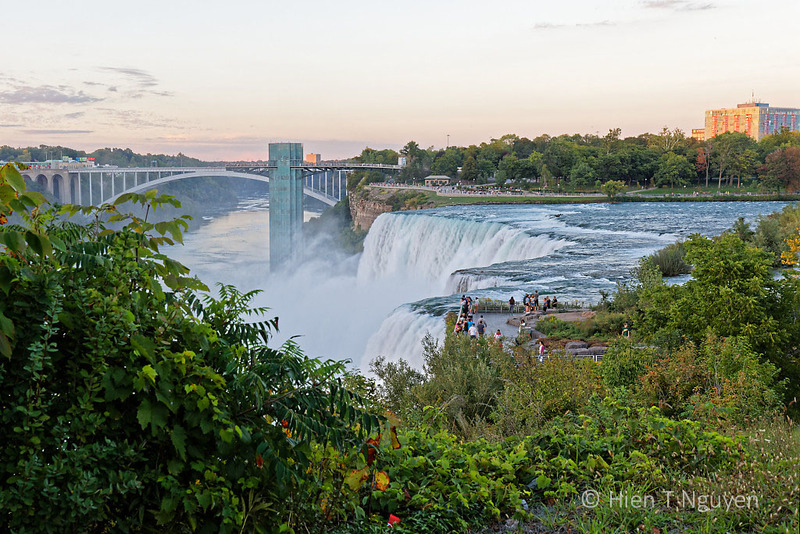 Most photos of the Niagara Falls are taken from the Canadian side, on the other side of Niagara River. That far away, trees and shrubbery tend to get lost in the vastness of the landscape. I went up Interstate 81, and did not drive through the Adirondacks or Catskills, or along the Hudson River. Beautiful photos. Thanks for taking me there. I always struggle to find the time to go there, even though I was in Toronto and NYC last year. 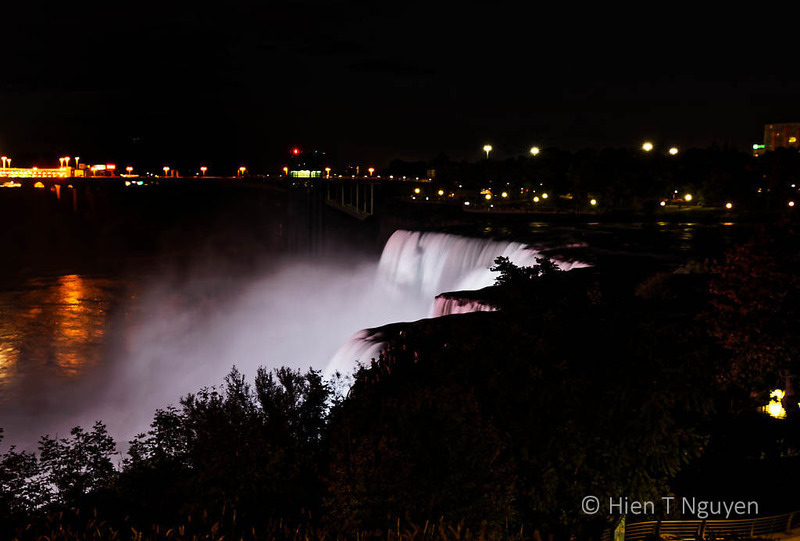 Next time, try to visit Niagara Falls both during the day and at night! Ah, Niagara Falls, one of my favorite places. From Canada, you get the panoramic view, it’s true. But from the US, you get the experience, to know the rush of the rapids, to resonate in the awesome energy of the falls — up close, real, and daring. By chance did you go north to Fort Niagara? Peter, you are right about the feel of the falls up close to the rushing water. It was fascinating. We did not go to Fort Niagara, maybe next time. Thank you for commenting! 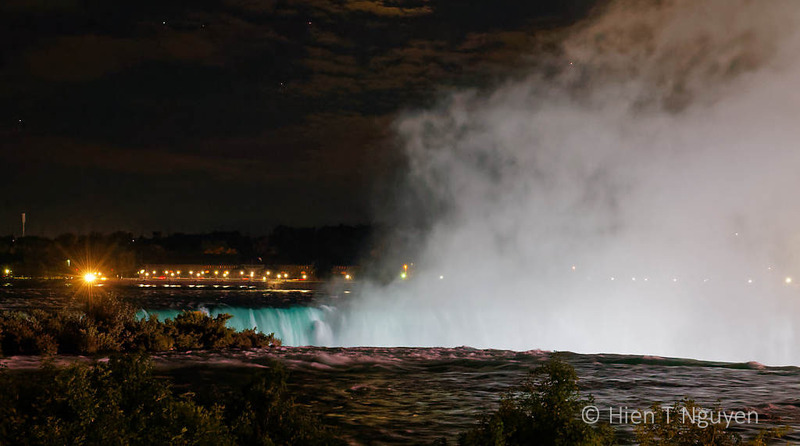 I’ve seen thousands of photos of the falls during the day, but I don’t remember ever seeing them at night, and I love these! 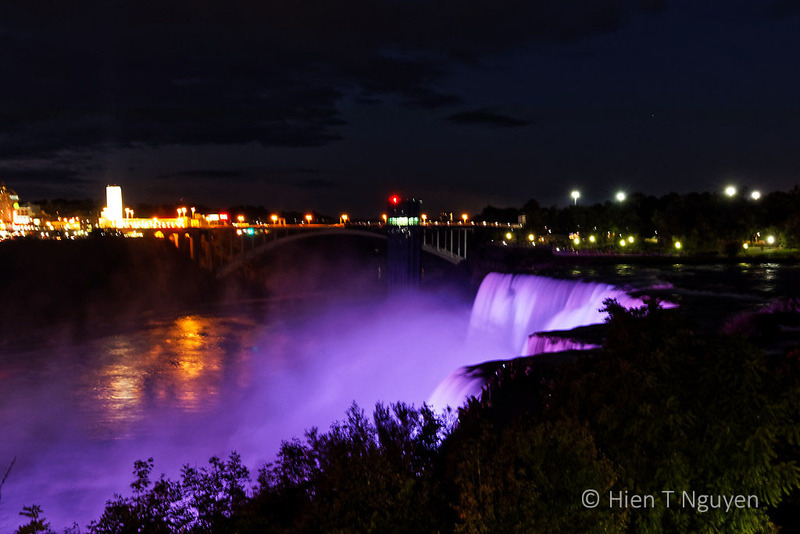 Even though I live a day’s drive away from Niagra Falls, I’ve never been there, but if I do ever go, I’ll remember to shoot at least some photos at night because of your post. If you go, try to take pictures of the fireworks also, if you can stay up after 10 PM. Thanks Jerry!